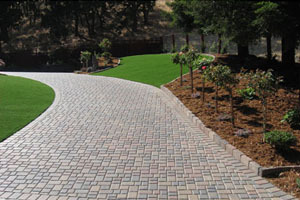 Interlocking Stone is a unique and impactful option for driveways, patios and pathways. One of the benefits of interlocking stone is the endless array of patterns, colours and options to suit your style. Some homeowners opt for bold geometric designs while others prefer patterns and shades that enhance the nature around them. Add instant curb appeal to your home with interlocking brick or stone. When it comes to interlocking brick or stone, not all concrete contractors are the same. With interlocking brick or stone, water erosion beneath the brick can cause shifting and dipping. Prevention is key and our professional team will prepare the project properly and use the right materials. At Apex, we will not take shortcuts with your interlocking stone project. Our final result is a stable, beautiful look that won’t shift or dip with the first snowfall. 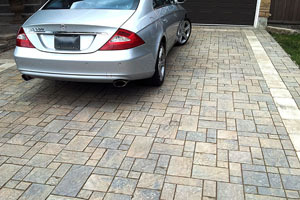 Interlocking stone is a popular option for driveways. During the planning process, our team of professionals will consult with you to determine which patterns will work best for your property to maximize the beauty of your home. 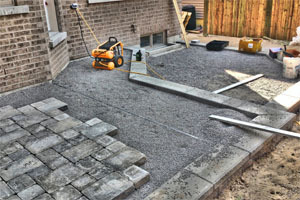 We can help transition interlocking stone to other features of your property, including walkways, pool decks and patios. A beautiful interlocking brick driveway will add instant curb appeal and impact to your home and could increase your property value when it’s time to sell. 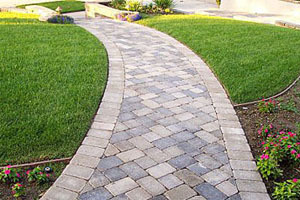 Make a statement with interlocking stone for garden pathways and walkways. Our team will walk you through the selection process to determine the right colours and patterns for your pathways. 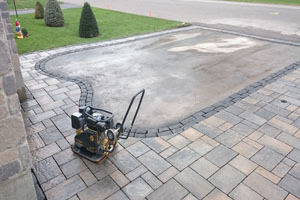 We believe that beauty should last and our team will properly prepare the ground to avoid shifting and to keep your interlocking stone pathway beautiful for years to come. 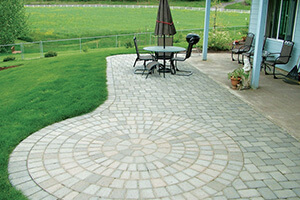 Create a beautiful focal point for your backyard with an interlocking brick patio. Let your personal style shine with our customizable options. We can design your patio to blend seamlessly with nature in your backyard or incorporate elements from your interior design to reflect colour accents and geometrical patterns in your backyard. Creativity is key and your imagination will make your interlocking stone project a beautiful reality. A big advantage of interlocking stone and brick is its ease of maintenance. Easy to clean and maintain, most interlocking stone driveways and patios will benefit from a yearly power wash to remove grime from the bricks and brighten the colour. Damaged or stained bricks are easily replaceable and dips that may occur after decades of persevering in Calgary weather can be re-levelled in sections. Although interlocking bricks do not need to be sealed, we are happy to provide that option if you prefer the look of sealed brick. At Apex Concrete, we’re dedicated to ensuring that your next interlocking brick or stone project reflects your individual style and adds beauty to your home’s backyard. Whether you have ideas in mind or need some advice on your next interlocking stone project, we are here to make your ideas come to life.